With Spring here and Summer right around the corner I knew it was time to update my makeup. I wanted to transform my pale winter skin and get more of a sun kissed glow. And that's where Stage came to the rescue! I always get overwhelmed with the amount of beauty products in the market and never know where to begin. When I checked out the Stage website and clicked under beauty they had a trend section called "summer beauty". I knew this was exactly what I needed to narrow down my search and I wasn't disappointed. 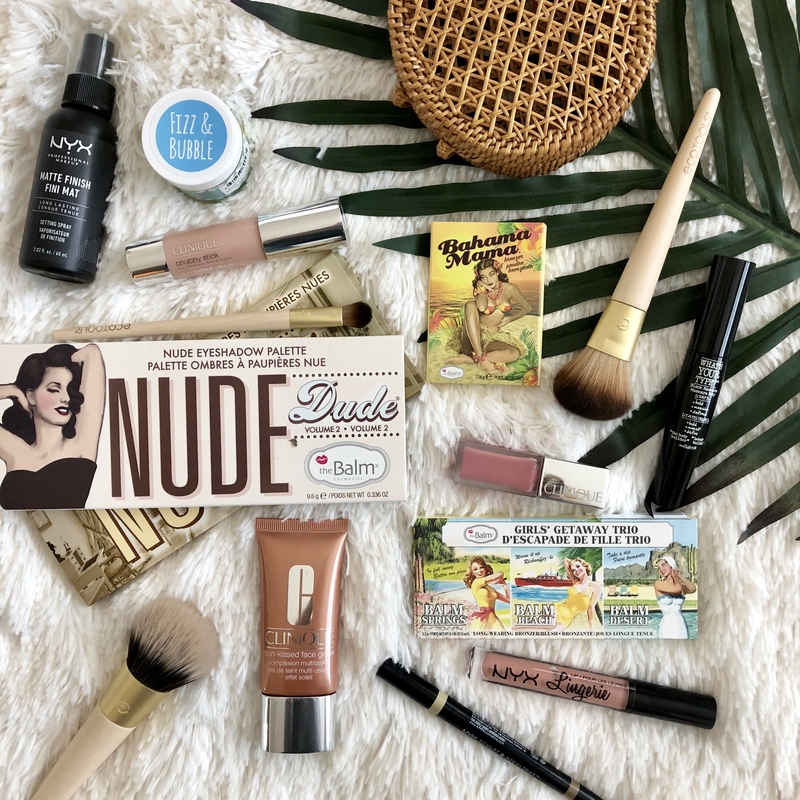 As I scrolled down I found several products from theBalm brand and their fun retro style packaging immediately caught my eye. How cute is their makeup!! Check out what I picked up with my full product review below. This might be one of my FAVORITE products! All 3 shades are perfect for my skin tone and really give me that beach bronzed look. 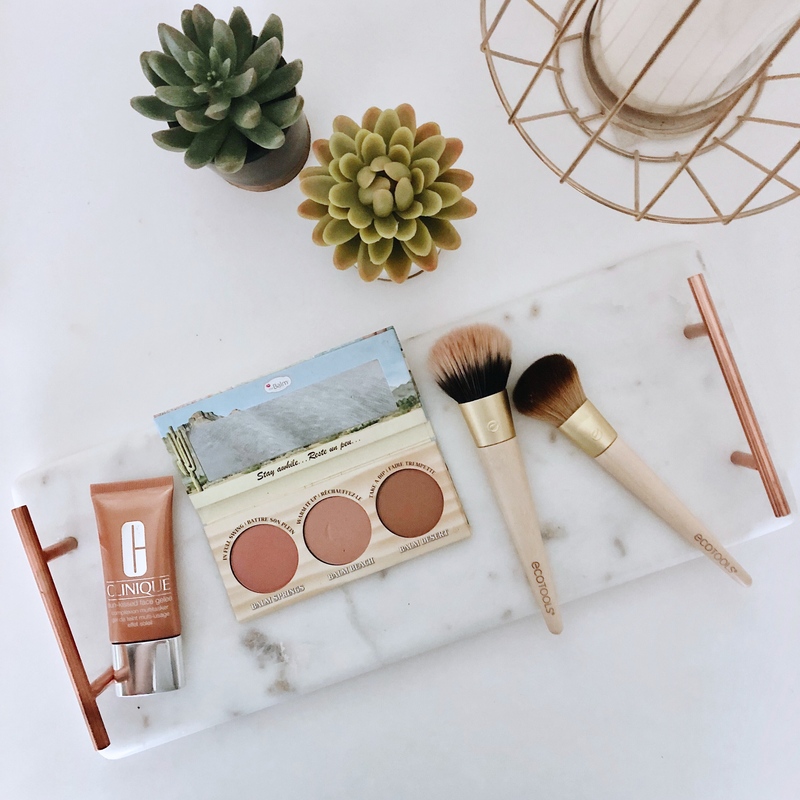 I love the Balm Desert shade for an all over bronzer and then I use the Balm Springs and Balm Beach for blush and slight contouring. This single product can transform your whole look to Summer and definitely a beauty Must-Have! This eyeshadow palette is absolutely AMAZING. Not only is the packaging and set up so fun but the colors are soooo good! 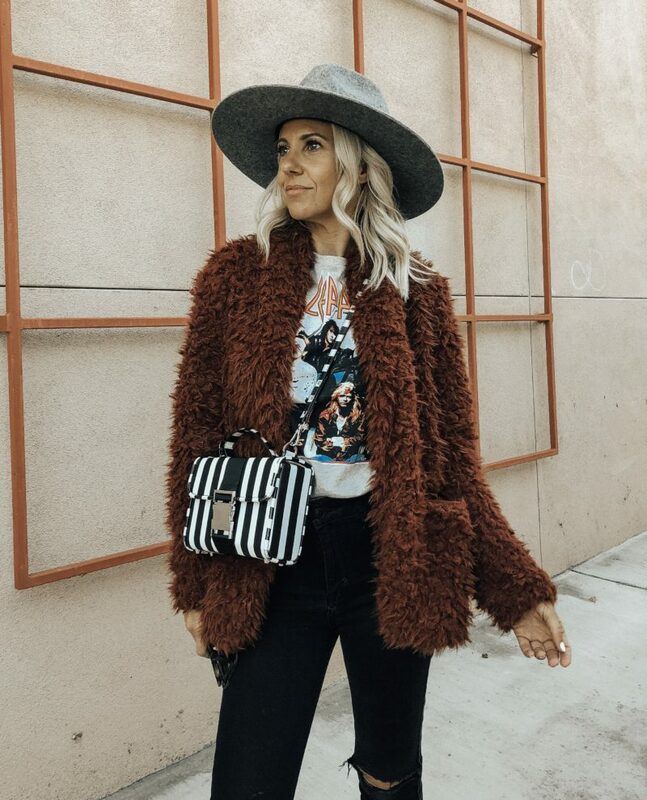 The colors I've been wearing on repeat are snobby (the perfect golden yellow), stubborn (a pretty pale pink), stand-offish, selfish and seductive. I tend to wear softer neutral/bronze colors most days and only go for a darker eye shadow occasionally. Overall such a great eye shadow palette! Yet another AMAZING eye shadow palette! There is such good neutrals and bronze colors perfect for a summer glow. My favorites are flawless, faithful, firm, fit (the perfect bronze shade), and flirty. Although a brush came with each palette set it was too small to actually use and I prefer using my new EcoTools brush as well as my Mac brush instead. But overall I loved this palette and will continue to use! 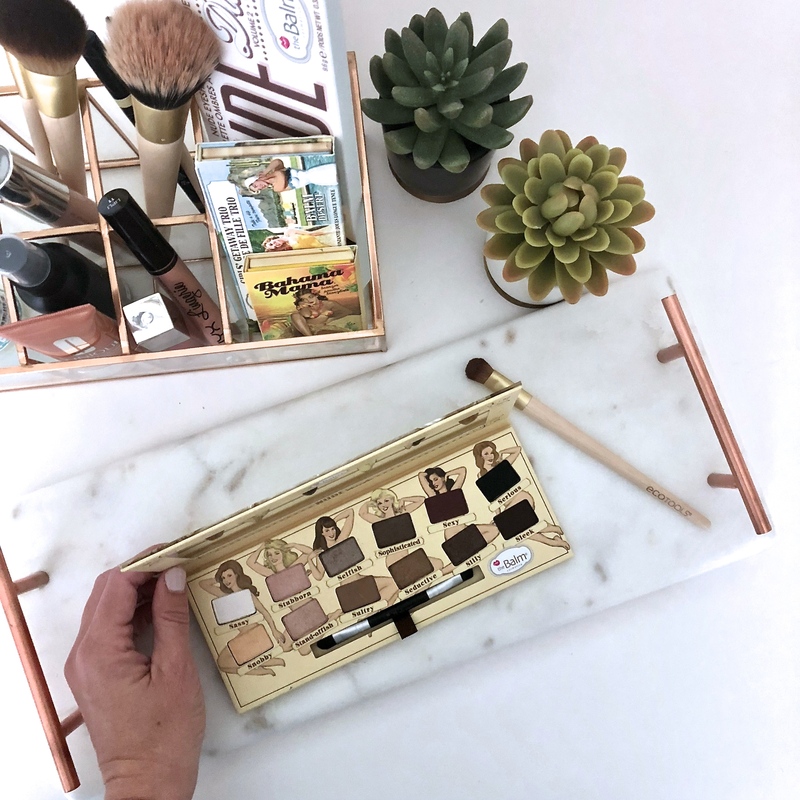 I was in need of a new bronzing brush and thought this set would be perfect. I was so impressed with how many brushes came in the set and the great quality for such a good price. I usually spend at least this much for one MAC brush! It can with two beauty blenders and I know these are all the rage right now but they are just not for me. My 3 favorite brushes from this set are the Blending & Bronzing brush, the Precision Blush brush, and the Shade brush. This was the one item that I had to have and thought it would be my absolute favorite. Although it's a great bronzer it's a little on the dark side and I wish it came in different shades depending on your skin tone. I have a medium skin tone and this was still too dark for me. Since I tan rather easily it might be a better fit come mid summer. But you can also use it as an eye shadow or even an eyebrow shadow. I was looking for an easy to apply highlighter and this fit the task. I went for the pink shade and like to wear it on my high cheek bones just above where I put my blush. I love the slight shimmer and glow it adds to my skin and it's a great addition to my makeup routine. This stain like gel mixes with either a moisturizer or foundation to add a subtle sun kissed glow. I don't know about you but I can get pretty tan during the summer since I love hanging by the pool and I start to feel like my foundation is too light for me. This product is the perfect fix! I mixed it with my current foundation and it added the perfect bronzed glow to my skin. The more I added the darker my foundation got so it's perfect to use depending on how tan you get. I'm definitely going to be using this ALL summer long! I'm currently obsessed with matte long wearing lipstick and I was looking for a good color for Spring and Summer. I really like the soft natural color but wish it lasted a little bit longer. It is moisturizing which I like but you will definitely need to reapply it through out the day. NYX is a brand I've heard great things about and was really excited to try. Honestly it's very similar to the Clinique liquid lipstick color I got and another good addition to my lipstick collection. Again this one is not long wearing but still a good natural color. I've never tried a setting spray before and I thought I would throw this into the mix. It's a lightweight water based spay that keeps your makeup looking great longer. Honestly I didn't really notice a difference between using the spray or not and often forget to actually use it. I'm sure it feels refreshing on a hot day though so I'll continue to use it when I remember to. I can't go a day without mascara and I loved the packaging so I thought I'd give this a try. Honest review- this mascara is nothing special. I've tried lots of mascara's in my time and this one is pretty average. It gets the job done but probably not something I'm going to purchase again. I always find myself having chapped lips and can't go a day without chapstick. I loved the tropical look of this product and thought it would be good to try. It's a sugar scrub and it tastes so good that my kids have been asking to use it every time they see me putting on my makeup. It's a good product that did moisturize and help with my chapped lips. Definitely a fun product I will continue to use. I've been needing to step up my eyebrow game and have only really been using eyebrow shadows on occasion. This contour pencil looked like the perfect next step and it is! The blonde color I got is a perfect match for my brows and it was very easy to apply. Overall very happy with this product and I will continue to use. There you have it! My search for a sun kissed glow has come to an end and I'm so happy with the results. 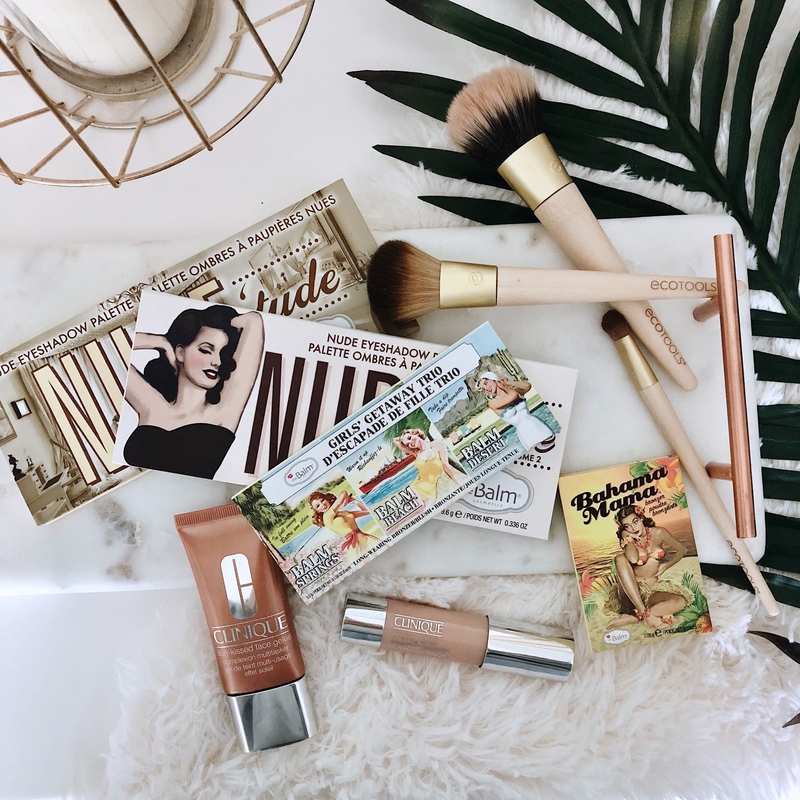 Stage has introduced me to theBalm products and to say I'm OBSESSED is an understatement! Now I'm ready for a tropical vacation! You can shop ALL these products at the Stage website HERE.